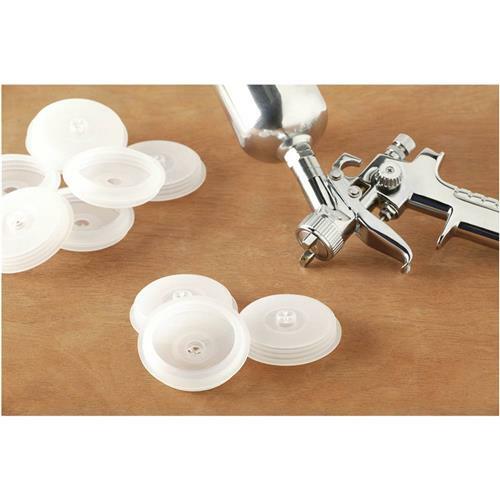 Grizzly H7675 - Caps For Mini Spray Guns 10 Pk. Press on caps fit mini gravity-fed spray guns with 2-1/8" ID paint hoppers. A substantial inner lip makes removal easy and large vent ensures even paint flow. Includes 10 caps each.